Change in volume index of industrial production, December 2018 (percentages). 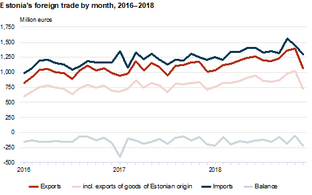 Source: Statistics Estonia. 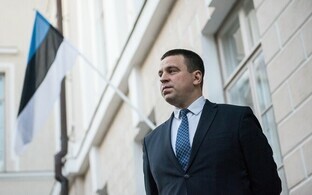 Industrial enterprises production increased 4% year-on-year (y-o-y) in 2018, according to Statistics Estonia preliminary data. This was largely supported by rising production in manufacturing and engineering. Conversely, mining production fell. 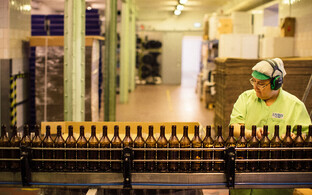 Production surpassed the volume of the previous year in half of industry sectors, according to Statistics Estonia. 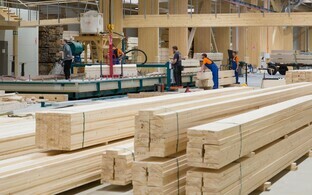 The growth mostly derived from an increase in the manufacture of computers and electronic products, and the manufacture of wood and food products. From the larger industry sectors, production fell in the manufacture of electrical equipment, textiles and furniture. 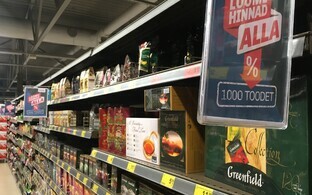 Both domestic sales and exports also increased in 2018, Statistics Estonia says. 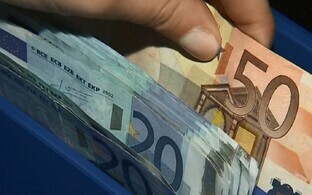 Exports increased by 5% and domestic sales increased by 8%, y-o-y. Sixty-seven per cent of total production of manufacturing was sold on the external market in 2018, it is reported. 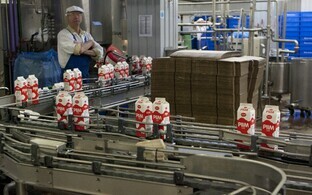 Working-day adjusted industrial production increased by 6% y-o-y in December; the production of manufacturing rose by 5%. In December, the production of electricity decreased by 13% y-o-y. In December 2018, seasonally adjusted total industrial production remained the same on the previous month. 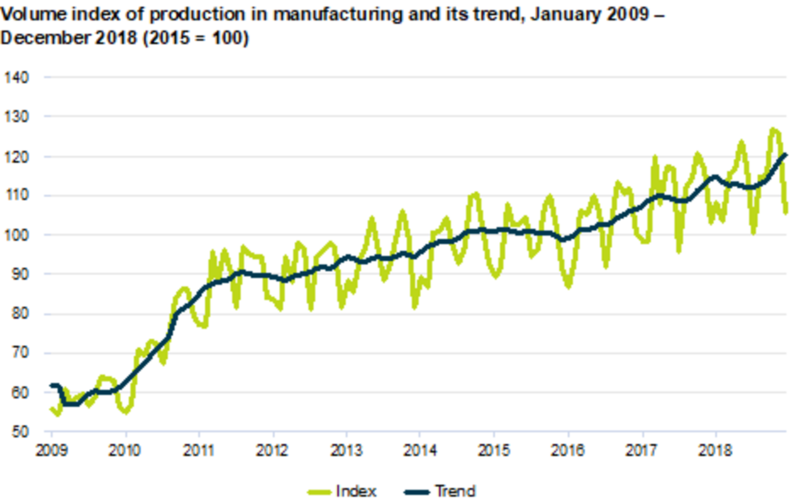 The manufacturing production rose by 1% compared with the previous month, Statistics Estonia says.